Having two fair haired children means that it can be hard sometimes to shelter them from the sun. We visited Black Park on a very hot day but it was perfect due to all the trees providing the necessary shade. The lake is so picturesque that it makes focusing on other things quite hard. 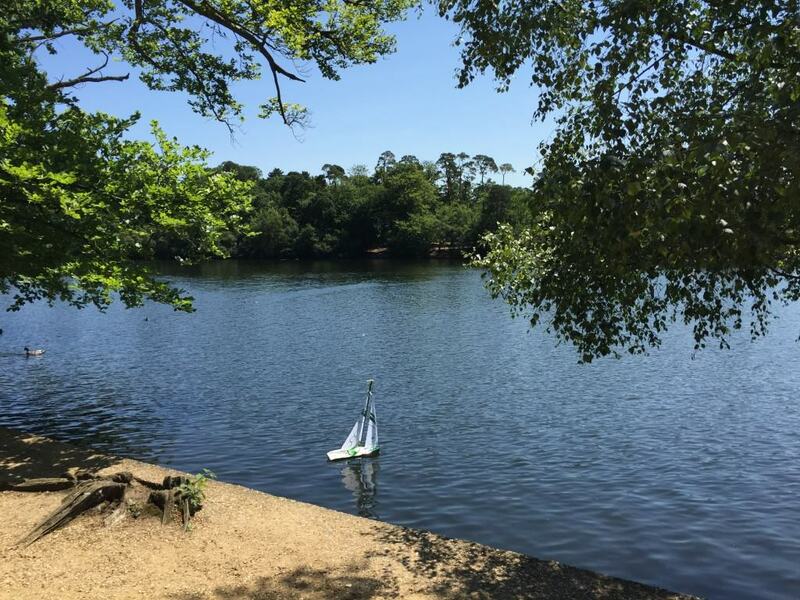 There are ducks to feed, small remote controlled boats and the sun shimmering on the water. Our son loved watching the boats in the crystal clear water. There is a large café the other side of the lake from the car park which is reasonably priced and although we didn’t eat there the food looked delicious. The toilets were immaculately clean which is great for a park. Next to the café area there are many shaded and un-shaded areas to sit and have a picnic if like us your children find picnics so exciting. The children’s park is fantastic, again very shaded in most areas and there is a huge choice for the children to go on. There is a wooden train which both of our two loved, our son pretending to be the driver and saying we were off to the sea side. There are various different slides, swings and a wooden play house which we spent a lot of time playing on. So many different things, see saws, a wooden castle and various rockers. 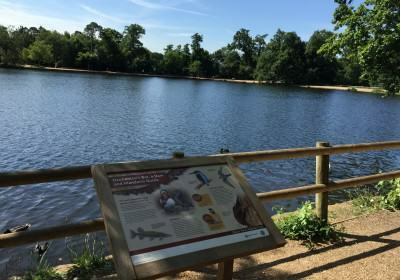 You could easily spend a day at Black Park and parking is cheap there too. A great family fun day out. Odds Farm Park is a local farm near where we live. 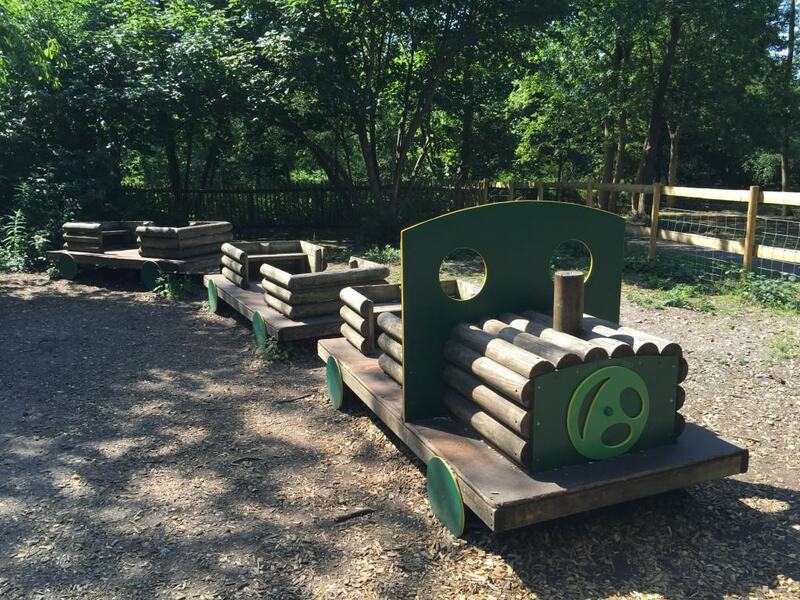 We often visit Odds Farm as the children really enjoy going and it is only about 20 minutes away. There is a large indoor barn where in the winter all the animals are kept so it is great to still be able to see them in the colder months. Within this barn are chickens, rabbits and guinea pigs too. They let the children stroke the animals at various times throughout the day. 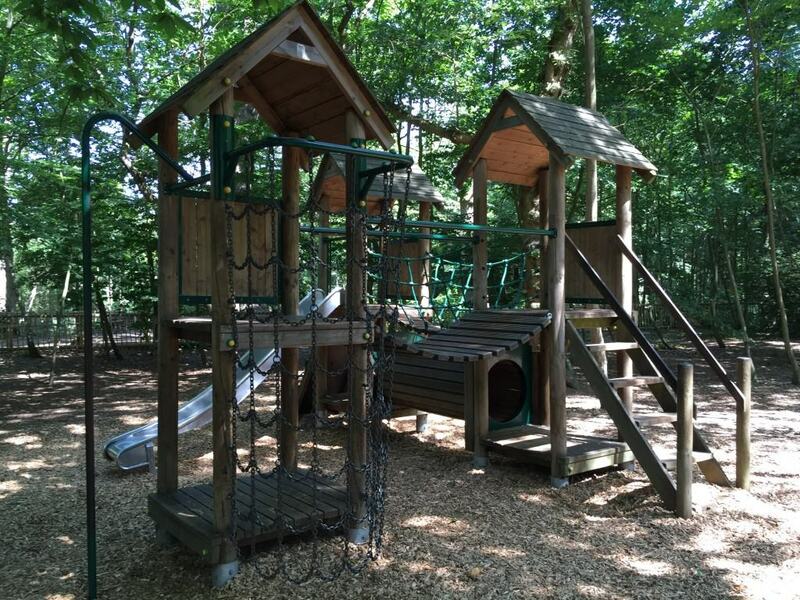 Outside there is plenty to keep the little ones entertained with lots of climbing frames, Go Karts, and sand pits. We have eaten in the café a few times and found the food to be good and reasonably priced. The café is in the same building as a huge indoor play area. There is a ball pit and play area for under 5’s which is great and then there is a larger area for older children. They have a few feature slides which my son loves going up and down several times. In the colder months this indoor area is fantastic as it is really big so they can run, climb and slide around for many hours. Attached to the farm is a shop which sells some unique gifts, mainly farm related but you would definitely be able to pick up a gift or two.